I’m a longtime airline junkie. I wrote about airline deregulation, including the demise of Eastern Airlines, when I joined the Fort Lauderdale Sun-Sentinel out of graduate school at Northwestern University. I also was a freelancer on the airline beat for The New York Times, dictating stories into a telephone for publication. (That was “high-tech” in the ’80s). Later, I wrote about airlines when I joined The Chronicle, including the shut down of Pan Am. This year, I signed up for a service called “Travel Cheaters,” which scours the web for great deals. This summer, it turned up a “mistake” air fare from SFO to Shanghai, China, for $539.73 in business class — a big bargain compared with the regular price of $3,000. I was able to land one, and Hong Kong Airlines honored the air fare. Now I’m down to smaller challenges, such as reserving a seat in advance to see the Shanghai Symphony Orchestra. This is the ticket: A区6排22座580元. I have to send in another form — this time to the hotel concierge — to secure the ticket. 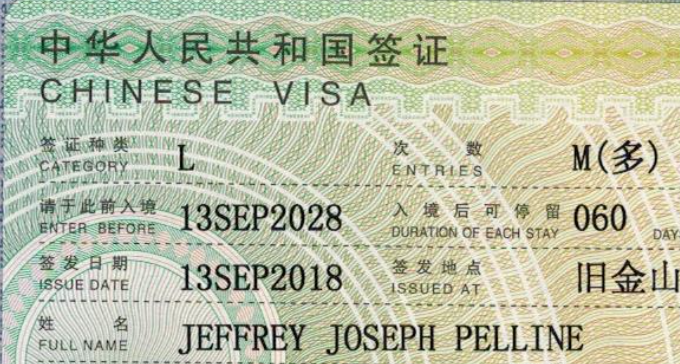 I’m excited to spend a week in Shanghai “seeing the major sites of the city, including Yu Garden, the Bund and Nanjing Road,” as I wrote in the visa application. Shanghai has been “Americanized” with the world’s biggest Starbucks and Shanghai Disneyland. But I’m going to spend the week exploring the “backroads,” sightseeing, and enjoying the local cuisine. This is just the beginning. Next spring we are going to take our son to Beijing— a trip that was secured before this impromptu one appeared. At the same time, we are going to visit South Korea, where he will join fellow black-belts in a training session. Small towns are a hoot, but it’s important to expose our millennials to the rest of the world, or it can be a little too claustrophobic.